I love The Wire. It is the greatest show I have ever seen. I also love The Sopranos, Curb Your Enthusiasm, Veep, and Real Sports. HBO obviously has a pretty good track record. In turn, I’m really looking forward to True Detective. It will follow the anthology format. That is, it will feature a different story and cast of characters in its second season. I think American Horror Story does this. I don’t watch that show. It looks freaky. Honestly, Wikipedia doesn’t have much in the way of juicy details about the show. The series will be written by a relatively unknown guy and directed by what appears to be an up-and-comer. I love this creative team. I loved Shaun of the Dead and actually liked Hot Fuzz more (probably because the action genre is more in my wheelhouse than the zombie genre in general). 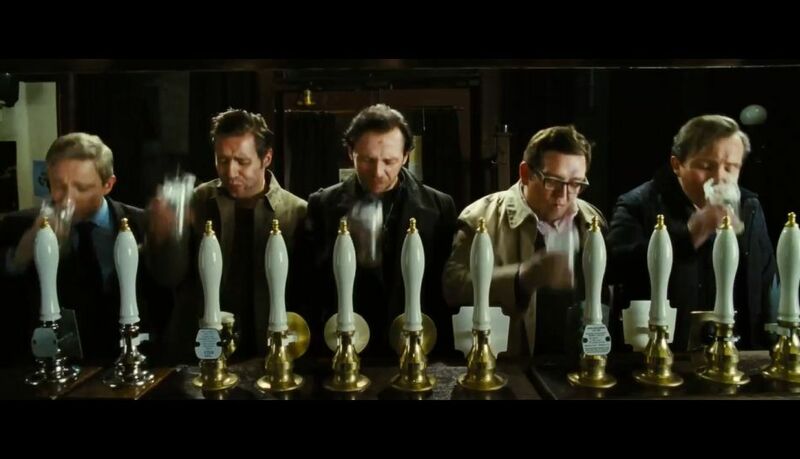 I regret missing The World’s End in theaters. It was a fun, sweet movie that I thoroughly enjoyed. It originally started out as a story when Edgar Wright was freaking 21 years old. He then realized it could work as an adult story focusing on the idea of returning to your hometown as an adult and feeling like an outsider. What ideas was I coming up with when I was 21? The perfect ratio of Jack Daniels to store-brand Pepsi and the best combination of characters to use in X-Men Legends. It may be increasingly obvious how I spend the latter part of my evenings. My wife and dog are asleep and I spend it browsing the movie channels for something to watch. 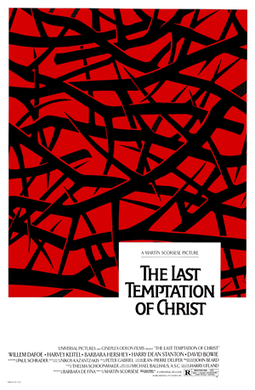 The Last Temptation of Christ is on IFC. I typically love anything Scorsese. Hell, I even enjoyed Shutter Island but that may have been a product of having read the book first. I also think Bringing Out the Dead and The Aviator are completely underrated. I could watch the latter at any time. Dammit, I need to see The Wolf of Wall Street. He was originally going to have Aidan Quinn as Jesus, Sting (!) as Pontius Pilate, Ray Davies as Judas Iscariot, and Vanity as Mary Magdalene. I don’t even know who Vanity is but I’m sure that was crazy controversial back in the day. Both Aidan Quinn and Sting passed on their parts. The budget got out of hand and the original studio, Paramount, grew weary with the letters of pissed off religious people. They pulled the plug and eventually, Universal swept in. On October 22, 1988, a French Christian fundamentalist group launched Molotov cocktails into the Parisian Saint Michel theater during a showing. It injured 13 people and the theater had to close down for three years due to the damage. Harvey Keitel got a Golden Raspberry Award for his portrayal of Judas.